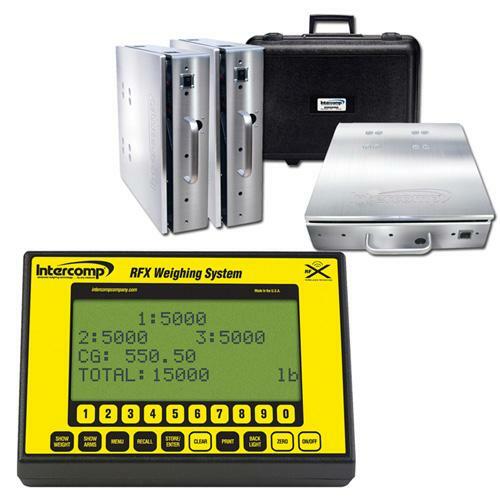 Intercomp’s ACII™ Series now features fully integrated RFX™ Weighing technology. The Handheld RFX™ Wireless Indicator fully controls scale functions at safe distances. Users can zero scales, change scale and indicator settings, turn scales on or off and calibrate right from the handheld indicator. The RS232/USB output allows data-streaming to printers, displays, computers and process control devices. Available in three capacities, 4,500 lb (2,200 kg), 7,500 lb (3,400 kg) and 15,000 lb (6,800 kg), these scale systems feature center of gravity calculation and use standard, commercially available, alkaline batteries which last up to 300 hours in the scale pads and 40 hours in the indicator, minimizing down time due to battery charging or replacement. Intercomp, the Weigh Forward.